* Students will not be taking the building sets home. The sets can be purchased from vendors. 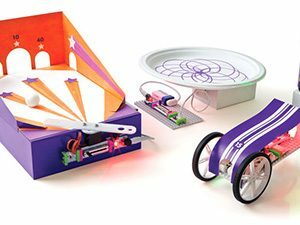 Students use building pieces with snaps, a programmable word fan, a tri-color light orb, a dual LED display, and a microcontroller, to assemble different electronic circuits on a “base grid” that functions like printed circuit board found in electronic products. 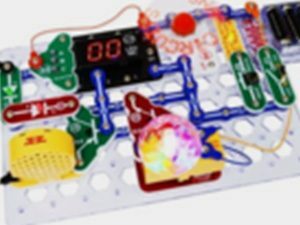 Learn the basics of electricity, engineering and circuitry while creating fun interactive games that emulate memory game, card game, racing games and more.